You see them walk the streets clad in formal dresses braving the hot or cold weather and wearing name tags saying they are members of The Church of Jesus Christ of Latter-day Saints. These young men and women commit two years of their young lives serving others by teaching them about Jesus Christ. They are called Mormons by most people, yet many are not aware that the official name of the Church is The Church of Jesus Christ of Latter-day Saints, or what they are really like. Others think that they are just one of those American religions, when in fact there are millions of Church members around the world and tens of thousands of missionaries working worldwide. They worship and accepted Jesus Christ as their Lord and Savior, and for this reason, they dedicate themselves for the service of others. So when you see young people, either men or women, with name tags and in nice dresses or suit, chances are they are members and missionaries of the Church of Jesus Christ of Latter-day Saints. They are worldwide and can be part of the Church located in your country or even within your town, city or barangay. Elder receiving his name tag. Who serves as missionaries for the Church of Jesus Christ? Missionaries who chose to be servants of Jesus Christ total to more than 70,000, working full time for The Church of Jesus Christ of Latter-day Saints. They are regular members of the Church with more than 400 missions to be carried out worldwide. They are mostly under 25 years of age who don’t receive any monetary consideration for the time and effort spent in serving people. 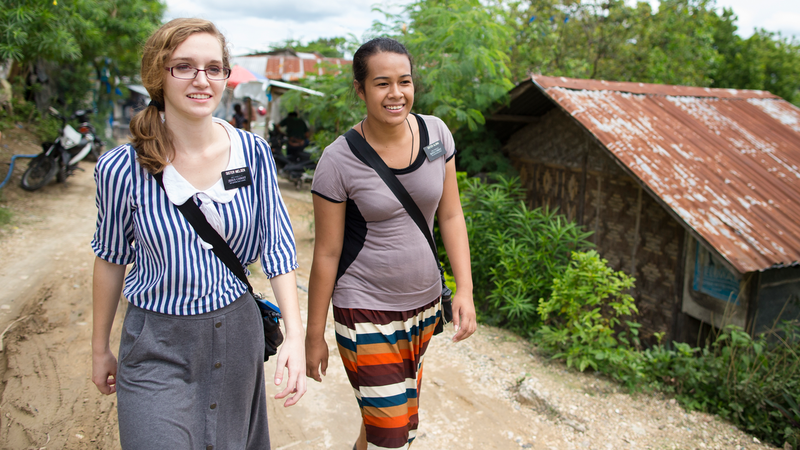 Missionaries usually work in duos of the same gender when they are on a mission. Couples go with their spouse, while the mission’s duration for single men goes for two years and for single women is 18 months. Missionaries are given their assigned area for the mission and they do not request for it. They are sent only to countries where governments permit the Church and its works to operate. Sometimes missionaries need to spend extra effort in learning the language of their assigned country, but won’t be told about it until the last moments. 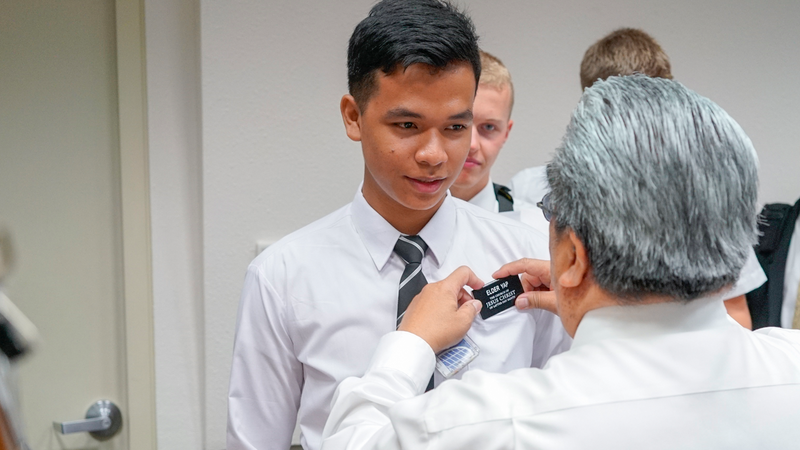 One thing common among all missionaries when it comes to dress code is the name tag that has the missionary’s name and “The Church of Jesus Christ of Latter-day Saints” prominently written. Their mode of doing missions and reaching out to people differs. Some ride bikes, others have cars. In countries like the Philippines, most missionaries simply walk or take the popular means of transportation like the jeepneys of the urban areas or tricycles of the countryside. 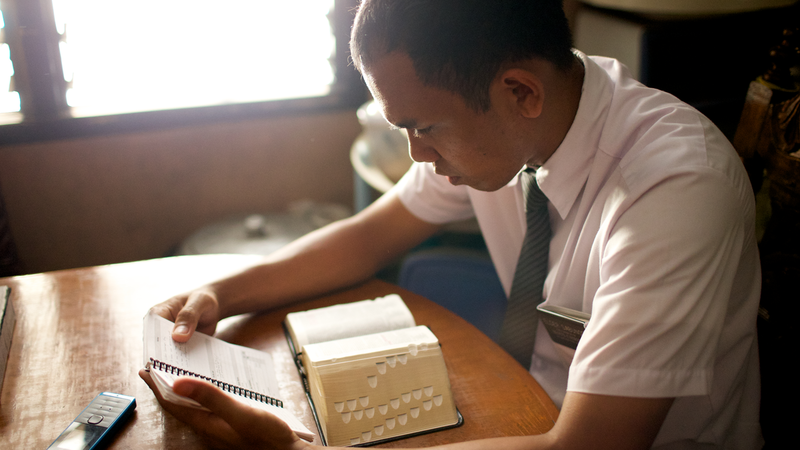 Gospel study is an essential part of missionary life. What is a missionary’s day like? Missionaries do their work in groups called companionships, and it’s commonly consisted of a pair and sometimes of three people. They are housed together, accomplish their mission together and normally collaborate with each other on their daily activities. Cooperation is key, and doing missionary work calls for hard work! Missionaries adapt their schedules with the culture of their assigned country. Each country can be unique when it comes to customs, traditions and even timetables of its people. Missionary work is the same for all missionaries, and they do the same type of things every day. Differences may come in choosing which times of the day activities are preferred to be done. Routinely hard work best describes a missionary’s typical day. It starts with a prayer in the wee hours of the morning, followed by an exercise, then studying the Bible, the Book of Mormon and other available written resources coming from the Church. Missionaries also spend time learning the local language if it’s different from their native tongue so as to ensure understanding and effective communication. Majority of the day will then have to be spent on the most important thing of all: the mission of teaching the locals about Jesus Christ and His gospel. It can also include serving others, like doing humanitarian or social works. When the sun sets and the day comes to an end, missionaries return to their homes to rest and recharge. Tomorrow will be another day where they have to do basically the same things they did today. Sister missionaries looking for families to teach. 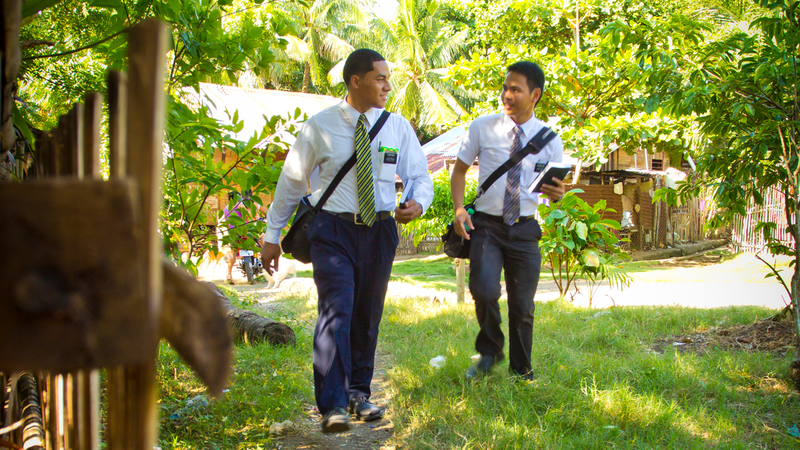 Why do missionaries do missionary work? The missionaries of the Church primarily serve for one good reason: love of God and fellow men. They happily render service for free and without hesitation. They want to share how God unconditionally loves His people and want these people to know and learn about Him. Missionaries help people to find meaning, purpose and direction in their lives. They let people feel both the joy of being with God and the peace when one follows His commandments. Click here to request a home visit from missionaries.